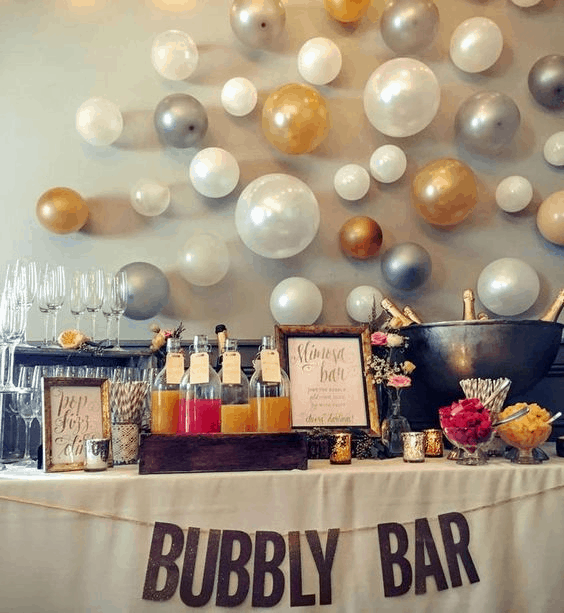 Get ready to celebrate with friends and loved ones by making your own bubbly bar! These can be created pretty easily once you collect all of the supplies. This would be a fun element for your bridal shower, wedding shower, or wedding reception. 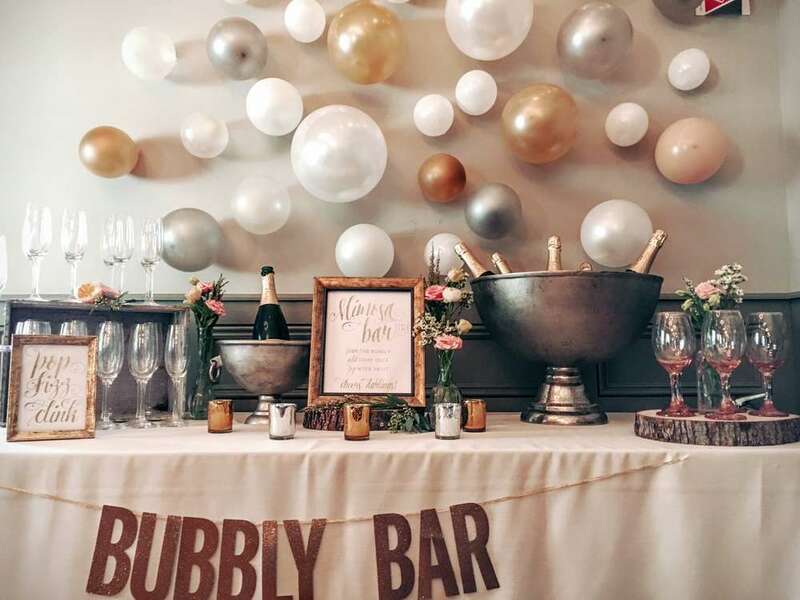 The balloons in different sizes look like over-sized bubbles, and really make the bar come alive, don’t you think? For this project the hardest part is gathering all of the supplies. Once you have them, you are all set! Don’t get the fruit, juices, or ice until a few days before your event. Silver, gold, and pearl colored balloons. Arrange the items on a table, draping the lettering across the cloth-covered front. Vary the heights by placing some items up on pedestals while some stay down low. Have fun toasting to love! 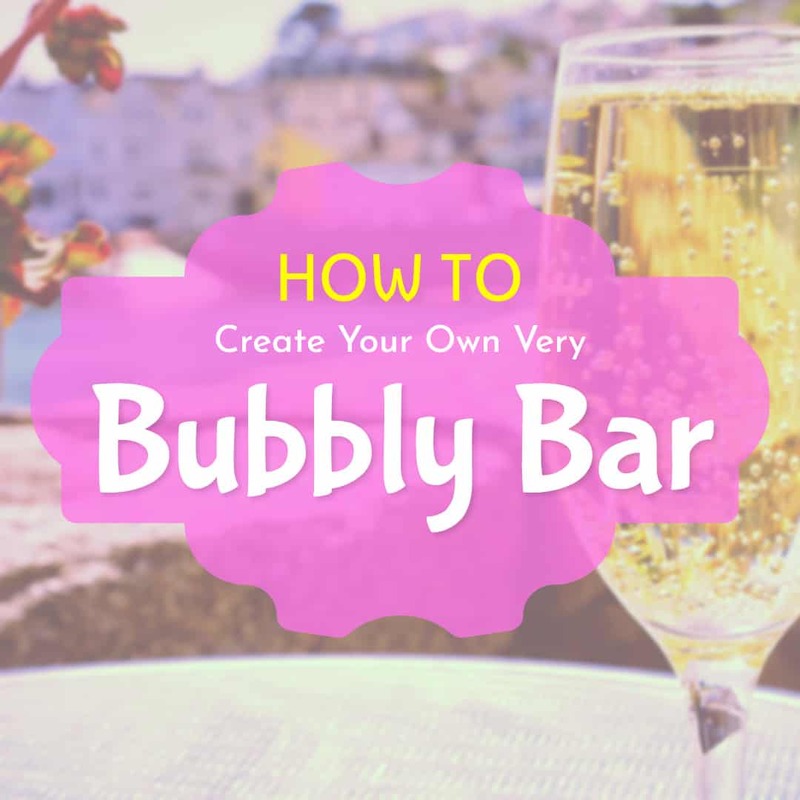 Leave a comment below if you have ever seen a bubbly bar. What did you think of it?